You have a choice of Silver and White or Orange and White. 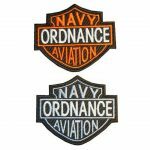 These embroidered pacthes are approximately 4 inches wide measuring from the center bar. 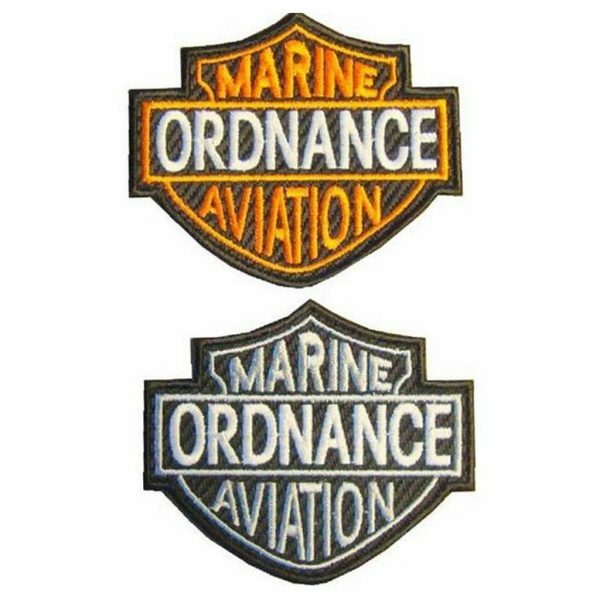 Note: The Ordnance (Harley-Davidson Style) patch was designed by Marine Corps Aviation Ordnance Gunner CWO2 Scott E.Hunt.